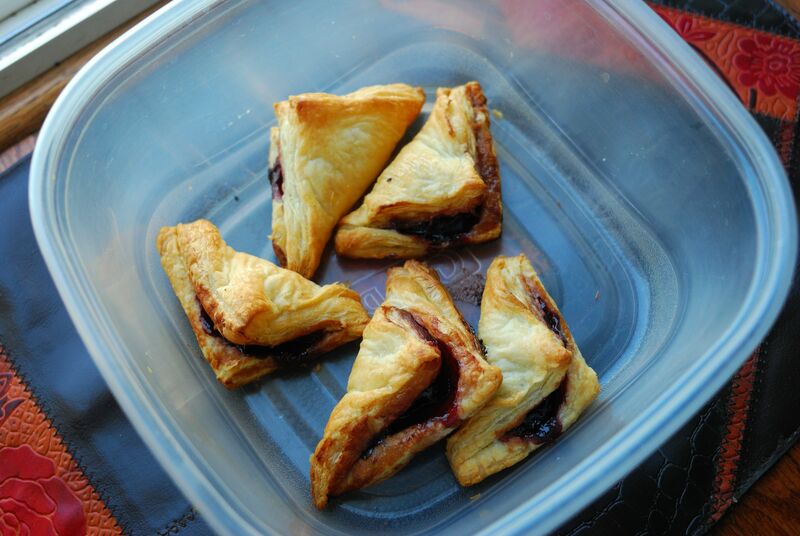 Quick picnic treats – Puff pastries galore! Whew… has it really been almost a month since I stopped by here? My dashboard tells me that Sundays and Mondays have been doing exceptionally well on my blog as I’ve been getting far more hits those days than on others. And I have been getting most of my traffic from my friends’ blogs than from any other source! I’ll stop now before I start sounding like the copious amounts of research reports I’ve been writing lately… but it feels so good to know that readers have been stopping by this space even though I haven’t been giving it much of my love lately. Thanks you guys! 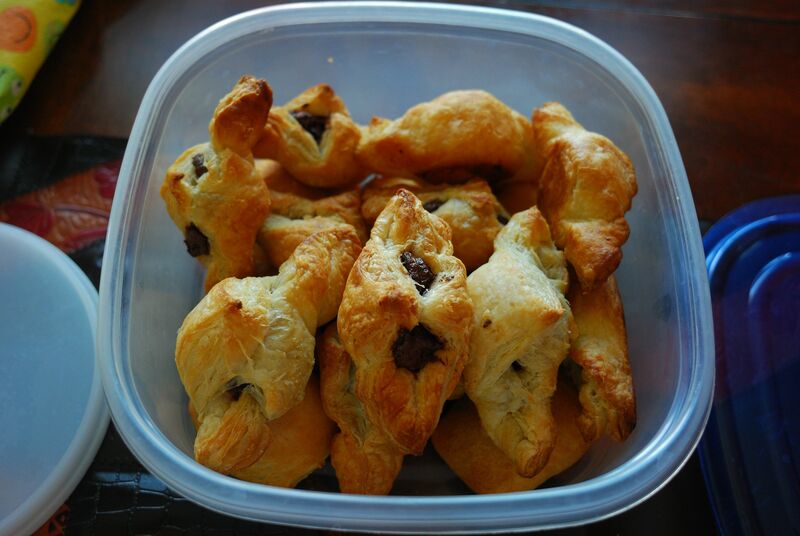 Today’s post is an ode to summer, outdoor eating, low-hassle cooking, and… puff pastries! I have a new-found fascination with puff pastries lately. With all the impromptu picnics and outdoor lunches we’ve been having to make the most Minnesota’s short-lived summer, this nifty kitchen essential has been stepping up to quite a large plate 😉 We’ve been able to quickly put together both savory and sweet treats that are easy for people to pick up and start munching on, while eliminating the need for plates and plastic cutlery. And I’m all for cutting back on waste when we’re outdoors. I am not going to share any recipes today as only one’s imagination can lead you to what you can do with puff pastry dough. 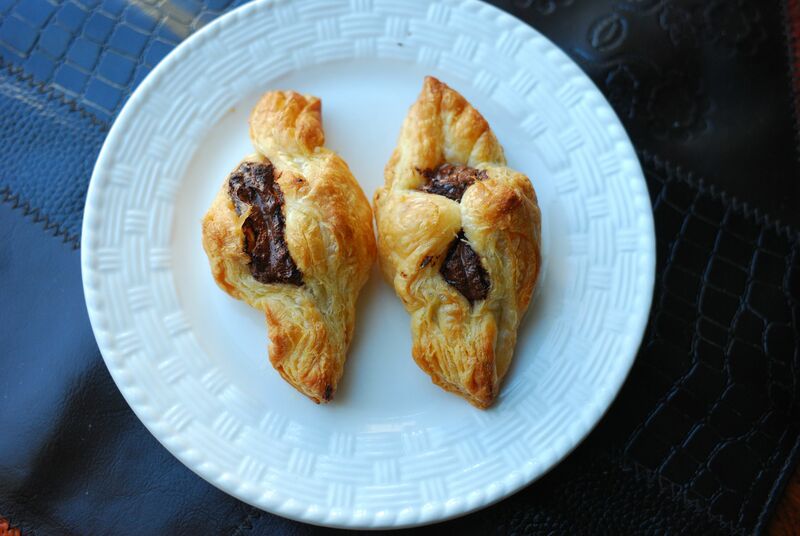 My sister and I made a large batch of Belgian chocolate puff pastries, using up pretty much all the decadent chocolate her husband bought from Europe. Talk about gourmet treat-eating in the park! 🙂 She is also always looking for ways to keep her toddler son’s tummy full when we’re out, and jam pastries are his favorite. Another time, I used up some leftover potato curry, mashed it up, added some cooked peas, and made them into my very own no-fry samosas that went really well with some tangy tomato soup for dinner. Yum! Getting ready for the picnic! Hope everyone’s been having a fantastic summer! What’s your favorite way to use puff pastries? Fun ways to fill the pastries. Never tried doing it myself. Inspired now. Wow interesting shapes! Barb in my cooking club made puff pastries from scratch a couple of weeks ago. They sounded so easy.Check out the pics at http://pattyabrdotcom.com under Mangia Pasta. We had vanilla custard filling and topped them off with chocolate. They were fabulous. Very nice pictures and interesting twist to the fillings. Inspired! This is fun…I shall try it at home..got some puff pastry in my fridge!! There’s something almost magical about puff pastry and how many ways it can be used. Most recently, I made cheese sticks that disappeared almost like magic!